After assigning such heavy novels, the Listmakers give us a bit of a break with this one. Although it certainly doesn’t qualify as a favorite, it was a fun respite from some of the denser books on the List. Jim Hawkins, the son of an innkeeper, recently lost his father. An old sailor, Billy Bones, arrives at his family’s inn and warns Jim about a one-legged pirate. After Billy suffers a stroke, he tells Jim that his creepy shipmates want the contents of his sea chest. Jim discovers that the sea chest contains a treasure map and well, adventures ensue. Obviously, this is one of the most iconic novels of all time and it was interesting to check out such a famous story. Clearly it is not the most contemplative book I have ever read, but it was exciting and short. We don’t get a lot of junky books on this List, so I would recommend this after reading something particularly grueling. Invented the concept of “X marks the spot” and a pirate with a parrot on his shoulder. UP NEXT: A Woman’s Life by Guy de Maupassant. Sounds cheerful. This is my first and only experience with Henry James, although he is represented on the List five more times. We are off to a good start but I don’t want to get my hopes up too high. I have been hurt before (looking at you, Zola). Isabel Archer is a young, beautiful American who is eager to experience life and maintain her liberty. After the death of her father, she visits her rich uncle at his estate near London. She receives two proposals of marriage but declines both, as she doesn’t want to lose her independence. 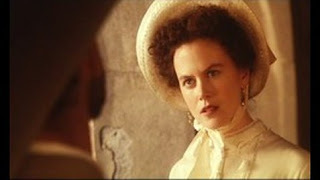 Isabel receives a large legacy from her uncle, making her an even more desirable target for unscrupulous men, including the odious Gilbert Osmond. I know Henry James has a bit of a reputation as being a drone. Maybe this will come up more his later work, but I actually found his writing to be quite entertaining. I did find the characterization of Isabel to be a bit off. In the first half of the novel, she was independent and spirited. In the second half, she shifted to a Clarissa-esque martyr and I couldn’t figure out why. Perhaps Henry James believed that women are, in the end, submissive beings. I also found the ending to be annoyingly ambiguous. In any case, I thought the first half of the novel was nearly perfect and I look forward to future Henry James novels. Henry James has said that Isabel was inspired by several of George Eliot’s heroines. I have been “reading” this novel for a month now. It is only 250 pages, but I found it to be so dull that I kept putting off finishing it. Today I was finally able to check this one off. Basically, the novel follows the fortunes and misfortunes of the Toscano family. The head of the family, Padron Ntoni, buys a large amount of lupins. His son, Bastian, is entrusted with the lupins and sets sail to Riposto to sell them. Tragically, both he and the merchandise are lost in a storm. I kind of lost interest after that. Where to begin with my complaints on this one…Let’s start with the treatment of women. They are given zero interesting characteristics and are either referred to as sluts or property. I know this is a product of the time, but having just reviewed Nana and Portrait of a Lady, it was a bit of a step backward. I just couldn’t relate to a single character in this novel. They just didn’t seem real to me. When they were upset they would beat their breasts, rip their hair out, and screech for hours. I am no stranger to the Italian temper (having seen every episode of Real Housewives of New Jersey), but it didn’t really strike me as relatable. Of course, Verga isn’t trying to relate to me. I’m afraid the culture gap was just a bit too wide for me to enjoy this one. Takes place in Aci Trezza, a Sicilian village near Catania. UP NEXT: Bouvard and Pecuchet by Gustave Flaubert. I’m in need of some Flaubert after this. Oh, Flaubert. What a disappointment. I really thought after all his betrayals he would at least end on a high note. We should have just stopped after Madame Bovary and A Sentimental Education. I hesitate to be too hard on this one, as it was unfinished. Who knows, maybe he was planning on scrapping most of it or rewriting chapters. One would hope. Bouvard and Pecuchet are two Parisian copy clerks. They are basically the same, the only difference being that Pecuchet is a virgin. After meeting once, they instantly become “close friends” (I guess it’s too early to discuss the homosexual undertones here). When Bouvard inherits a sizable fortune from his uncle/dad, he and Pecuchet decide to move to the countryside together (again, I think at this point we are just supposed to call them “dandies”). While there, they explore almost every academic pursuit they can think of, including medicine, botany, history, writing, literature, education…the list goes on and on. I am sick of dealing with men who think they know everything in my real life; I really don’t want to have to read about them too. I appreciate that Flaubert was paying homage to picaresque novels, but the joke got old pretty quickly. Personally, I was pleased when Pecuchet contracted an STD; couldn’t he have written more about that? I have no idea why this was included on The List, so I will have to check my copy for an explanation when I get home. In any case, I highly recommend skipping this. Flaubert claimed to have read over 1500 books in preparation for writing this novel. Well…did he have a blog about it? Received lukewarm reviews. Ahem…what? That’s…shocking. UP NEXT: Treasure Island by Robert Louis Stevenson. I have read this one already so expect another review shortly! I was just reading something, I think it was Hemingway’s A Moveable Feast, where the narrator said that The Brothers Karamazov can only be read and enjoyed once. I am going to have to take his word for it, as I never plan on trying to read this again. Brilliant? Yes. Grueling? Absolutely. I don’t think even know where to begin my summary of this one. I suppose the plot is kind of secondary to the philosophical discussions in the novel, but I am a stickler, so here goes. Um…patricide? Confusing pet names? Brothers? Karamazovs? This is Dostoyevsky’s final novel. I know many people proclaim this to be his masterpiece. Perhaps it is. He certainly packed the book with enough philosophical material for the reader to use it as a blueprint for how to live life. Still, the sheer density of the book precludes it from being an enjoyable read. I fell in love with The Idiot (fortunately, talking about the novel this time) because he told an engaging story that happened to be sprinkled with insight. I can’t believe I am finally through with Dostoyevsky. I’ll miss you, even though you were kind of a sleazeball. A copy of this book was found on Leo Tolstoy’s nightstand when he died. UP NEXT: Ben-Hur by Lew Wallace. Ugh, I already had to sit through the movie and now I have to read it? Damn the Listmakers and my dog-like obedience to authority.